The end of the brace is then at the intersection of a circle centred at the bottom left corner, with radius equal to the brace length, and a circle centred at the top right corner, with radius equal to the brace width (green lines in the diagram). 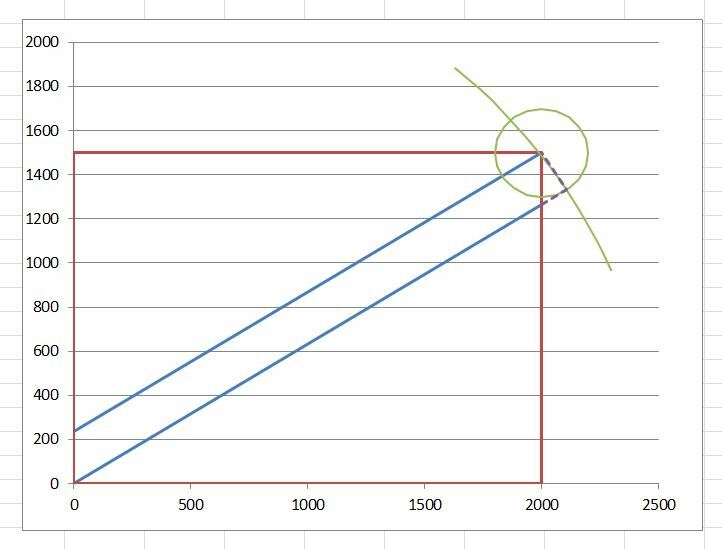 I already had a User-Defined Function (UDF) to find the intersection point of two circles, so it was a simple matter to copy the code into a new spreadsheet, and set up the required input and length calculations. Having found the coordinates of this point the position of the skew cuts can be found by simple proportion. 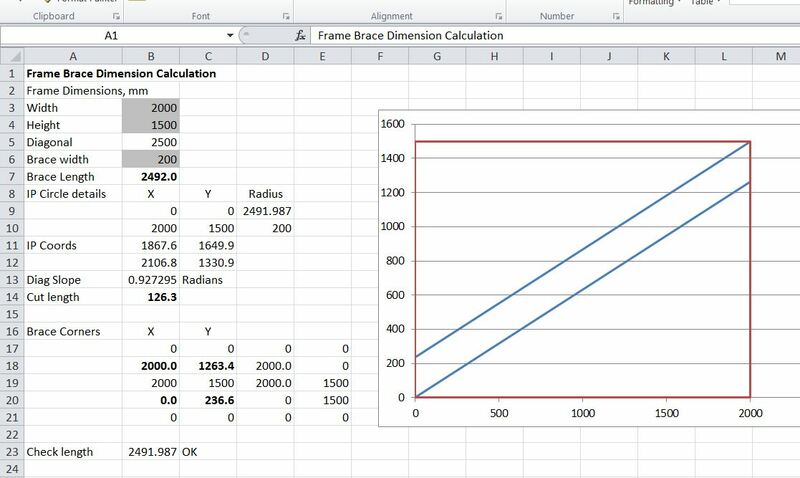 This entry was posted in Coordinate Geometry, Excel, Newton, UDFs, VBA and tagged circle intersection, Excel, Framebrace.xlsb, geometry, IP2.xls, UDF, VBA. Bookmark the permalink.